I I took this shot two weeks ago in the prairie. The butterfly caught my attention (as all butterflies do) as it was hopping from one bloom to another, alone. 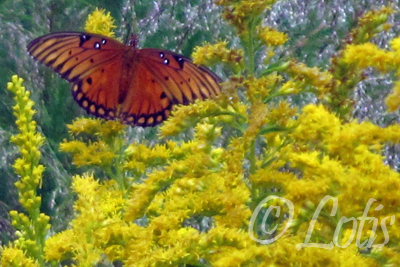 I spotted the same butterfly too outside when I get out, flying low, as if guiding me where to go. It was so cute. I wonder if it was the same butterfly. I have no way of knowing, all I know is that butterflies are living example of how life can be so much beautiful after an ugly event or a crisis we encounter.